As a member of a nonprofit organization, you know things are going well when you have enough volunteers to cover your biggest annual event months before the date approaches. Another positive sign that people are contributing to your cause comes when you have so many donations coming in that you’re able to help a record number of families in the community in one day. 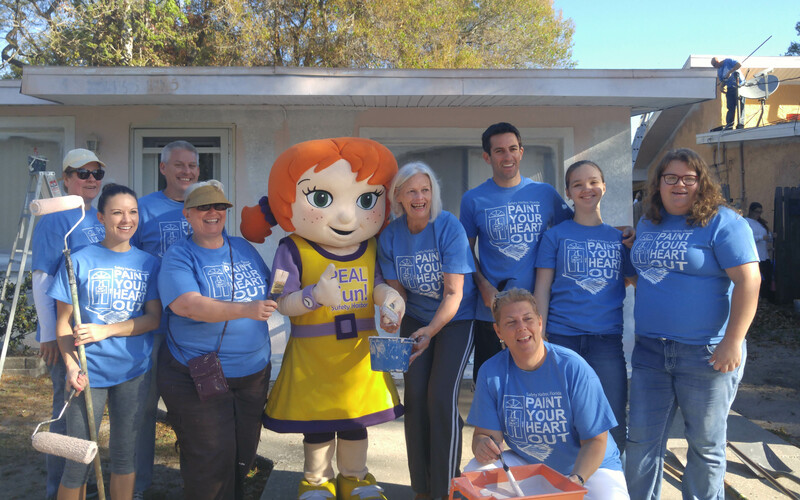 That’s the situation representatives of Paint Your Heart Out Safety Harbor find themselves in this year, as the nonprofit home-beautifying organization will refurbish a record seven homes in town on Saturday, March 10, 2018. “This year, we are tackling the most ambitious number of houses ever for our organization, seven,” PYHOSH President Rick Shampaine told Safety Harbor Connect via email, adding, “never before have we done more than five homes on Paint Day. 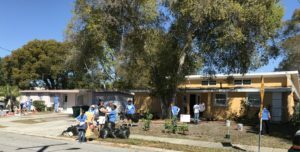 According to the organization’s Facebook page, PYOSH started in 1991, and in that time, the many volunteers over the years have spruced up more than 140 homes at no cost to the owner. 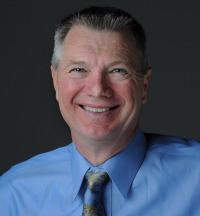 They typically try to tackle five homes per year, and candidates must meet certain requirements to be eligible for consideration, including own and reside in a home in the city and be physically disabled or have a family income equal to or less than the HUD poverty level, according to the site. Money for the supplies and services, including work with professional painters, comes from donations and contributions from local individuals and organizations; this year Point and Pay, an Oldsmar payment processing company, stepped up with a sizable contribution to the cause. 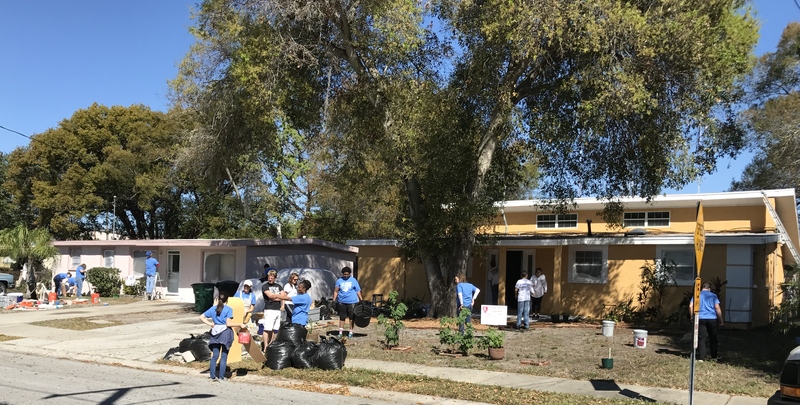 “Point and Pay has been a longtime contributor to local communities and we are pleased to work with Paint Your Heart Out, nearby in Safety Harbor,” Kevin Connell, President & CEO, Point & Pay, LLC, said via email. Paint Your Heart Out Safety Harbor. 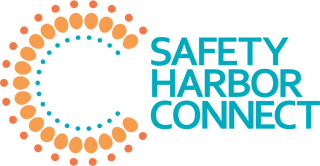 While the basic premise of PYHO has not changed over the years, one aspect is different in 2018. “One cool thing we’re doing this year is working with the homeowners ahead of time,” PYHOSH board member Laura Long said. 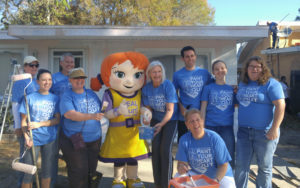 Long, a longtime marketing and communications specialist who is married to Safety Harbor City Commissioner Scott Long, said volunteering for PYHOSH has been one of the most rewarding experiences she’s ever had. “March of 2017 was the first time I painted with PYHOSH,” she said. “I was amazed that they could send 20 people out to a house in the morning and have it done — and done well — by afternoon. Long noted that while they will not turn away anyone who wants to help on March 10, they are not actively seeking more volunteers this year. 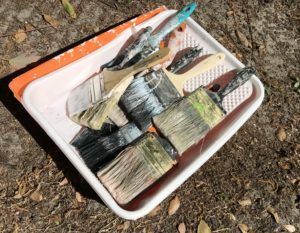 To learn more, volunteer or donate to Paint Day 2018, visit Paint Your Heart Out Safety Harbor’s Facebook page or email PYHOSH@gmail.com. This is wonderful to help fellow neighbors! And great to hear of all the volunteers and sponsors! !